The 2018 NFL season is over, the AFC and NFC champions have been decided. Don't wait any longer to pre-order your piece of history—The Official Super Bowl LIII Program. 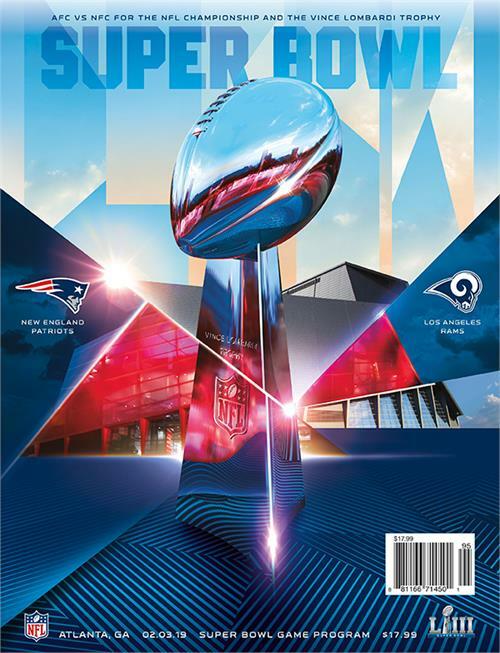 This is the Stadium Version publication that will be on sale at the Super Bowl in Atlanta. As an added bonus for collectors and fans alike, we will include a complimentary 2019 Pro Bowl Program with each order. Packed with photos, bios and history, the 2019 Pro Bowl Program is a who's who of future NFL Hall of Famers and a must-have for any serious fan.